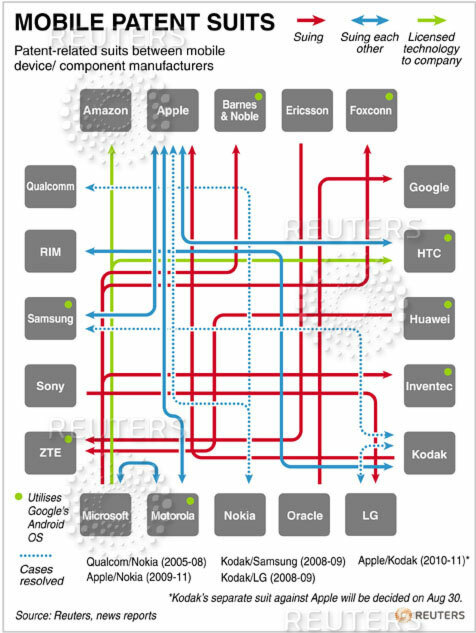 You are here: Home » MS + Google » Microsoft » Mobile Industry Patent Lawsuits: Apple, Microsoft, RIM, vs. Android etc. 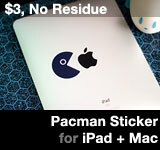 Mobile Industry Patent Lawsuits: Apple, Microsoft, RIM, vs. Android etc. Flowchart of 20 major player in the smartphone and tablet industry suing each other. Amazon, Apple, Barns & Noble, Ericsson, Foxconn, Goole, HTC, Huawei, Inventec, Kodak, LG, Oracle, Nokia, Motorola, Microsoft, Qualcomm, RIM, Samsung, Sony, ZTE. Companies are suing others, suing each other, and licensing technology. Resolved cases (such as that between Nokia and Apple) are with dotted lines. Intellectual property and patent lawyers seems to be the only ones not losing money in this economy. This entry was posted on Wednesday, August 17th, 2011 at 4:07 pm	and is filed under Microsoft, iPhone. You can follow any responses to this entry through the RSS 2.0 feed.